DEERFIELD, Ill. — Walgreens is honoring its more than 27,000 pharmacists for their dedication to patients and the expanding role they’re playing in overall health care for October’s American Pharmacists Month. “Our pharmacists’ commitment to Walgreens patients is evident every day, and this year especially we’ve seen countless illustrations of our pharmacists going above and beyond,” Richard Ashworth, president of pharmacy and retail operations at Walgreens, said in a statement, pointing to efforts by Walgreens pharmacists to aid those impacted by the devastating 2017 hurricane season. Walgreens said thousands of its employees and health service providers were involved in relief and recovery efforts in the wake of Hurricanes Harvey, Irma and Maria — a testament to the role Walgreens pharmacists play in their respective communities. For example, Walgreens pharmacists helped meet medication and medical supply needs by deploying on-site pharmacy operations at several shelters, including one at the George R. Brown Conference Center in Houston and another at Florida International University (FIU) in Miami. The shelter at FIU housed Florida Keys evacuees with special medical needs as well as dialysis-dependent patients evacuated from the U.S. Virgin Islands and Puerto Rico. Walgreens pharmacists also partnered with hospitals in areas affected by the hurricanes. 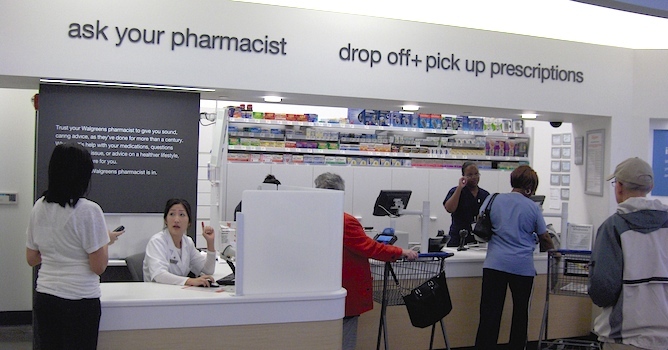 The pharmacy manager of the Walgreens location at the Women’s Hospital of Texas in Houston, for instance, took it upon herself to compound medications for the hospital’s NICU patients. She also filled prescriptions so pediatric patients could be discharged from the hospital. And at Baptist Hospital in Beaumont, Texas, when the Walgreens pharmacy staff weren’t able to get to the location because of flooding from Hurricane Harvey, several Walgreens pharmacists from nearby locations helped hospital staff get medications to patients in critical condition who were being transferred via helicopter. During October and November, Walgreens also is recognizing its nearly 50,000 other health care service providers, including pharmacy technicians, Healthcare Clinic nurse practitioners and physician assistants for National Physician Assistant Week (Oct. 6 to 12), National Pharmacy Technician Day (Oct. 17) and National Nurse Practitioner Week (Nov. 12 to 18).